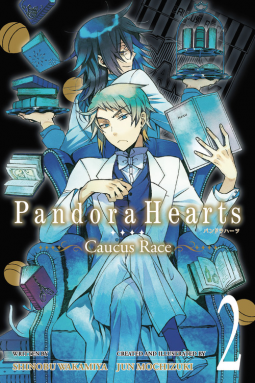 In this second novelization of Jun Mochizuki's New York Times bestselling series PandoraHearts, new fairy tales revolving around the four great dukedoms take the stage. With six stories in all, the volume focuses on the star-crossed Elliot and Leo, and it also includes tales in which Break gets up to antics at Pandora Headquarters after dark, and Oz is sent reeling after Alice makes a bewildering remark to him. As with the previous volume, this second installment includes manga shorts drawn especially for this novel by series creator Jun Mochizuki.